Someone else called me beautiful! I could get used to this. 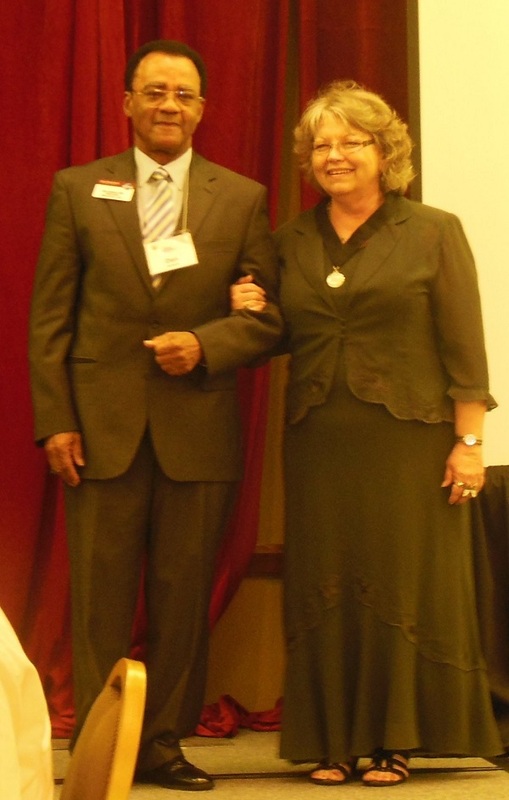 This past weekend I attended the Toastmasters District 55 Spring Conference in San Antonio at the Airport Hilton. The Evaluation contest was held Friday night after dinner and the Parade of Banners. I like to meet people at conferences, so I usually ask to join strangers during the meals. I saw a table with an older couple and found 2 seats next to them were being saved, so I sat next to one of those seats. As it turned out, it was a contestant and her dad who was there to cheer her on. I thoroughly enjoyed visiting with Gary, the dad seated to my right. He and I chatted, and I actually developed quite a crush. I found him easy to talk to and I think it was mutual. He started to tell a story about his step father during the minute of silence between contestants, and I had to shush him. I hated doing that. Then, it was difficult to talk anymore because it was contestant, minute of silence, contestant, minute of silence, etc. And at the end of the contest, he disappeared. I couldn't sleep that night I was so excited about meeting him. Because I'm new at this, I didn't think to share contact info. I just knew they'd return the next evening for the International Speech Contest, but they didn't. 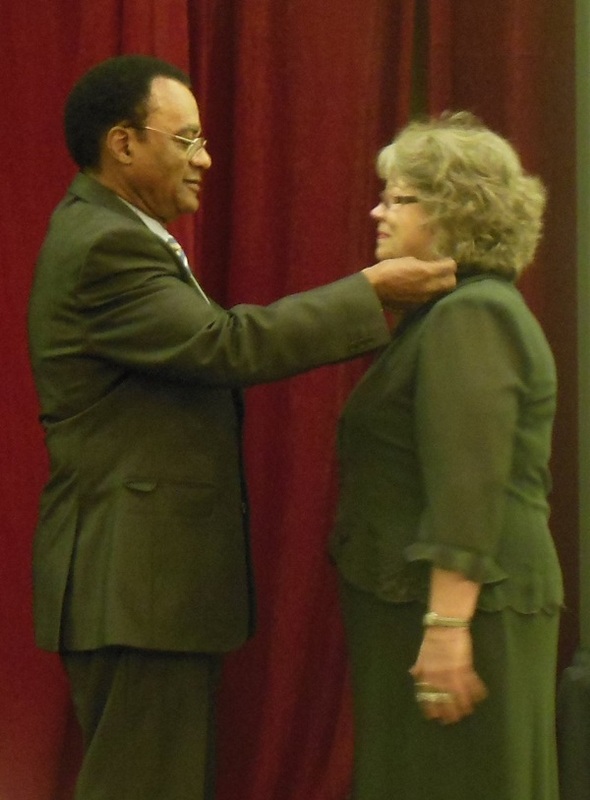 The Distinguished Toastmaster (DTM) ceremony was after the banquet on Saturday night. 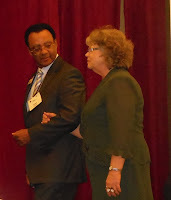 I was escorted by my friend Dan Jackson, DTM, whom I've known since we started Slick Talkers in 1992. He told me I was beautiful Saturday night and gave me a big hug on stage after putting the medal on me. Here are some photos of us at the ceremony.